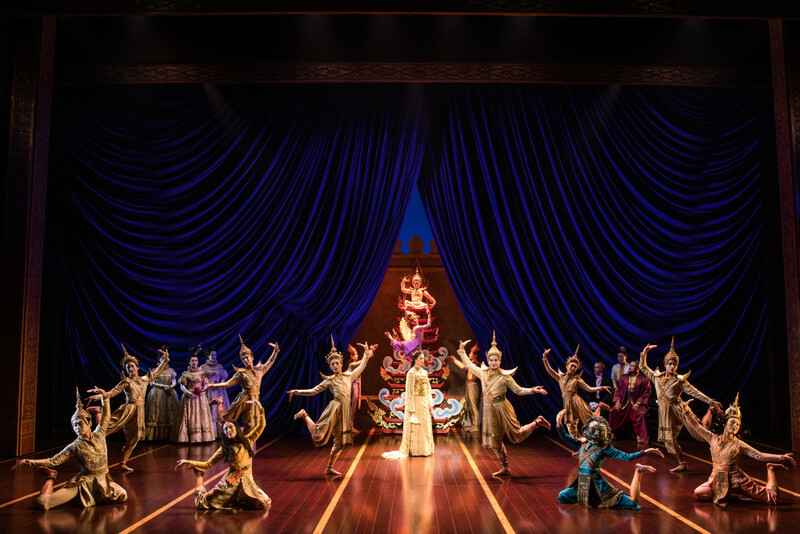 THE KING AND I, set in 1860s Bangkok, tells the story of the unconventional relationship that develops between the King of Siam and Anna Leonowens, a British schoolteacher, whom the modernist King, in an imperialistic world, brings to Siam to teach his many wives and children. Considered one of Rodgers & Hammerstein’s finest works, it boasts a score that features such beloved classics as “Getting To Know You,” “Shall We Dance,” “I Have Dreamed,” and “Something Wonderful.” Anthony Chan spoke with Phindie about his role as Prince Chulalongkorn. [The Academy of Music 204 S. Broad Street], March 22-April 2, 2017; kimmelcenter.org. Playing at London Palladium from June 21, 2018. Get tickets here. Debra Danese: Where are you from and how did you get started in musical theatre? Anthony Chan: I’m originally from the south of the San Francisco Bay area. In high school, I started doing theatre after-school for something to do. I then double majored in forensic chemistry and drama at U.C. Irvine. While studying there, I had the opportunity to participate in their New York satellite program. The program allows students to take master classes with Broadway veterans. We were also required to do two auditions a week for experience and to get use to life on the east coast. For example, seeing snow for the first time was a big adjustment. While in New York, I auditioned for, and got a part in the 2nd National Tour of Anything Goes. I did the tour, went back to California to finish a degree in drama and then moved back to New York. DD: What drew you to the character of Prince Chulalongkorn? AC: I went to the first audition with the character of Lun Tha in my head. I worked on “I Have a Dream” and prepared for that role. When I was called back, it was for the role of the Prince. I was surprised but thought it was a great opportunity. I re-read the script and learned more about the character of the Prince. I realized I was similar to the Prince in that we both had a lot of growing up to do. The Prince is stubborn about what he knows but also open to learning more. DD: Why do you think this show appeals to so many people? AC: I think because the storyline is about real life and themes that still resonate with today’s society. It shows the power of women and how cultures are still clashing but are also looking for change. There is so much love, laughter and tears and that is what draws in people to this classic musical theatre piece. Also, our director (Bart Sher) found old manuscripts and added material that was edited out of the original show. He pulled together a new vision that encapsulated Rogers and Hammerstein’s original storyline. DD: What’s the best and worst part of being on tour? AC: The best part is being able to travel. If I could quit life, I would travel around the world. With the tour, I get to see new places while doing what I love to do, in a show that I love. The worst part is being away from my dog, Sami. Sometimes I facetime with him! DD: Who is your favorite character in the show? AC: My favorite character isLady Thiang because she truly is the puppet master of all of Siam. She helps the King run Siam behind the scenes. When Joan Almedilla (Lady Thiang) sings, “Something Wonderful,” it truly is wonderful. She is so raw and vulnerable. It is hard to tune out the show when Joan is onstage because she is so amazing. She pours her heart out in this character and you just want Lady Thiang to always win. DD: Any fun behind the scenes anecdotes you can share? AC: We are a very tight-knit cast and that is in large part due to the kids in the cast. They really bring us together as a theatre family. Each adult cast member has a secret handshake with each of the kids that we do before we go onstage. These kids are really sweet and incredibly smart. I’m really enjoying working with them. DD: Have you done any sightseeing since arriving in Philadelphia? AC: We have a lot more free time than people probably realize! I was walking alone yesterday and just taking in the history. I kept thinking, “I’m walking on the same streets as Thomas Jefferson.” I saw the Liberty Bell and Independence Mall. The kids in the cast have studio teachers that arrange for field trips in each of the cities we perform in. I like to tag along on them because there is so much to learn about each place we visit. THE KING AND I is playing at The Academy of Music [204 S. Broad Street], March 22-April 2, 2017; kimmelcenter.org. Playing at London Palladium from June 21, 2018. Get tickets here. What sort of orchestra do they use? Are there electronic instruments amplified beyond tolerance?